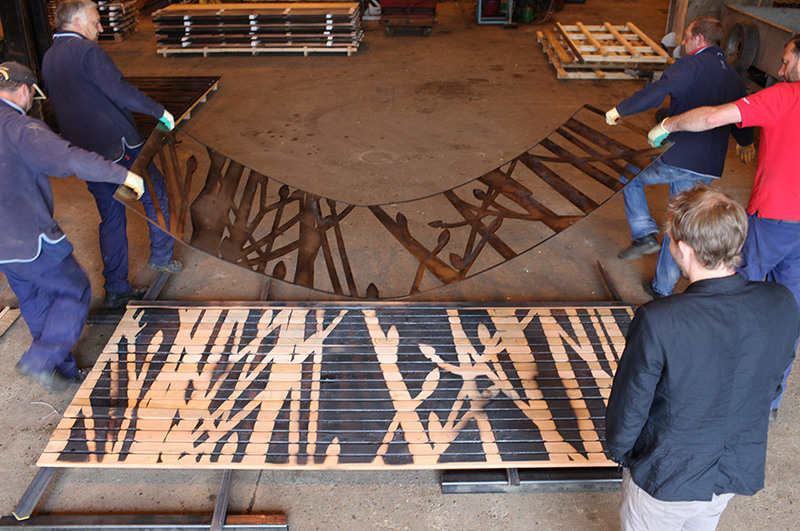 Using the concept of the osier plant as a starting point, we developed an innovative timber charring technique to transform a nondescript timber façade into a major new public artwork. Located on the main plant building of the Riverside Quarter development in Wandsworth, this project recalls a more rural setting prior to today’s urban development on the banks of the River Thames. At 7m high, and covering 400sqm of the building’s ground façade, the artwork is situated on a prominent corner site, creating a direct relationship with the street and offering a daily interface with upper floor residents. 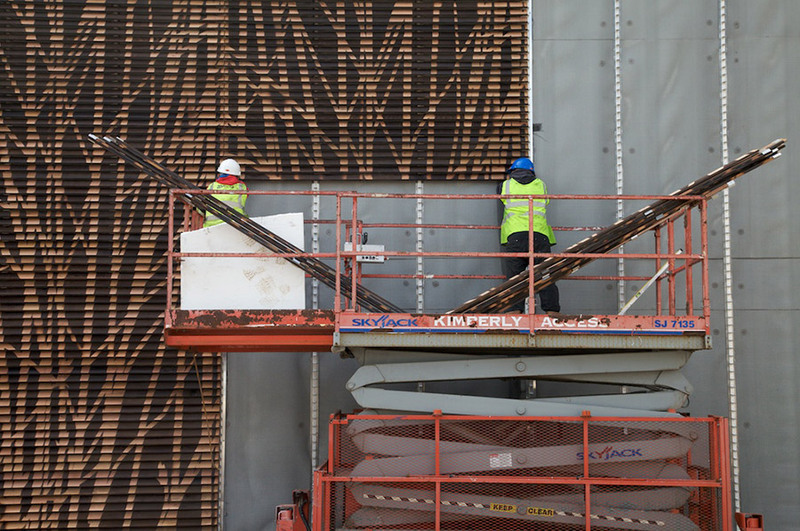 Commissioned by Plan Projects, and in close collaboration with Wandsworth Council and contractor Galliford Try, the project brief asked for a creative response to a site-specific artwork which would instill a sense of place. 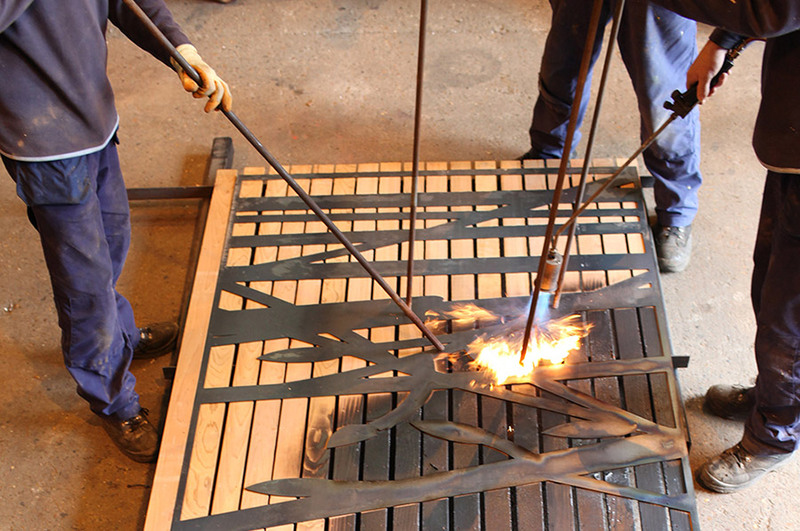 The project was an opportunity to introduce an artwork that would also contribute to place-shaping and establishing an identity for the new development. In researching the local area, we discovered that osier plants were historically grown on site and used in basketry. Due to the vast coverage, we were keen for the artwork to work at varying scales and be perceived differently depending on the relative position of the viewer. 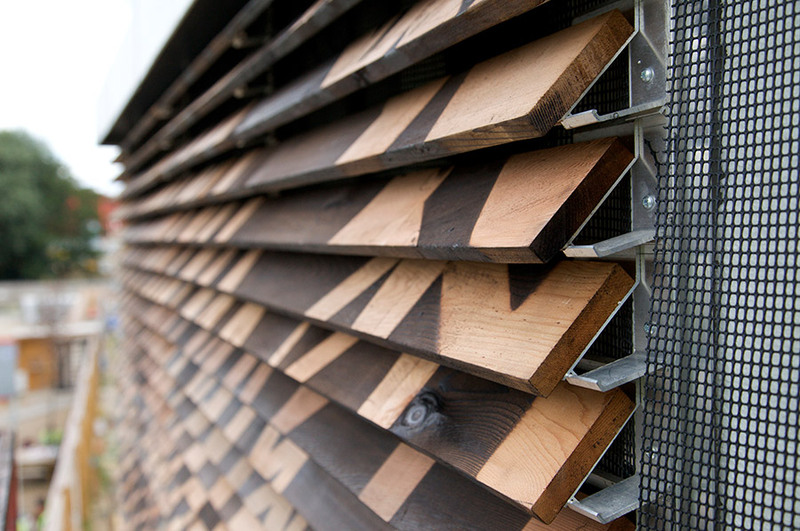 The osier pattern, overlaid on the angled louvres, creates a sense of movement from the visual effect of walking around the building. 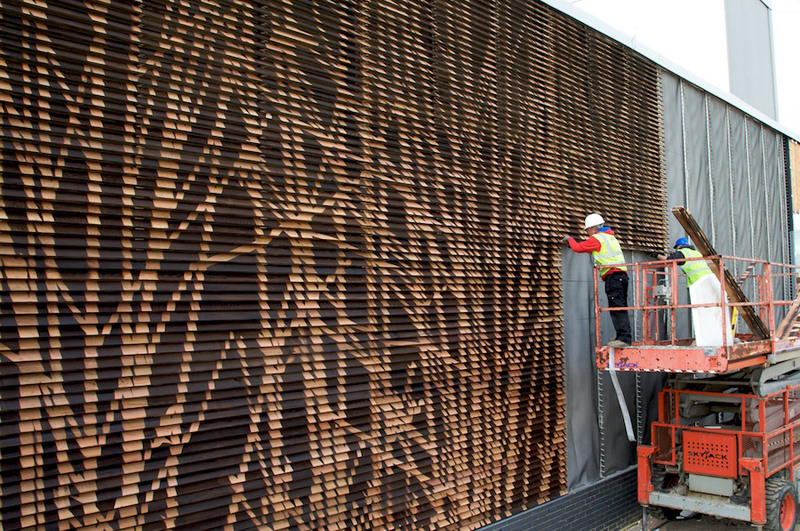 Close-up, the artwork appears very abstract, while at a distance the pattern can be read as a whole. 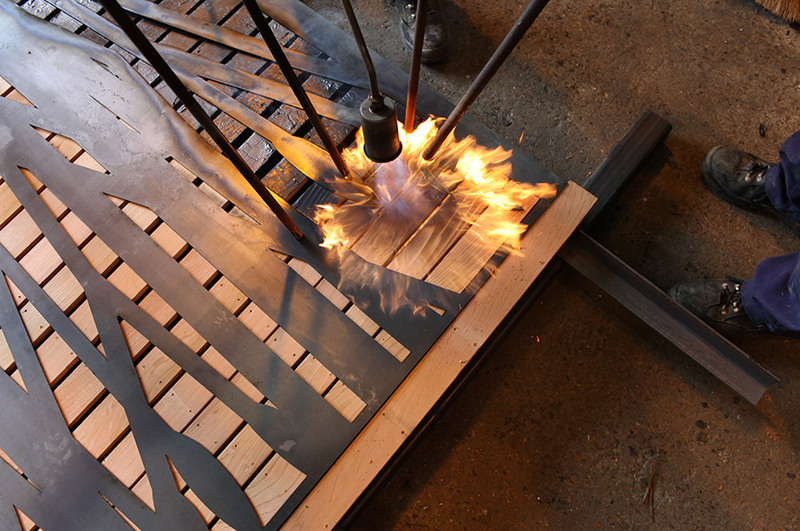 In developing the design, we were inspired by Japanese charred buildings. 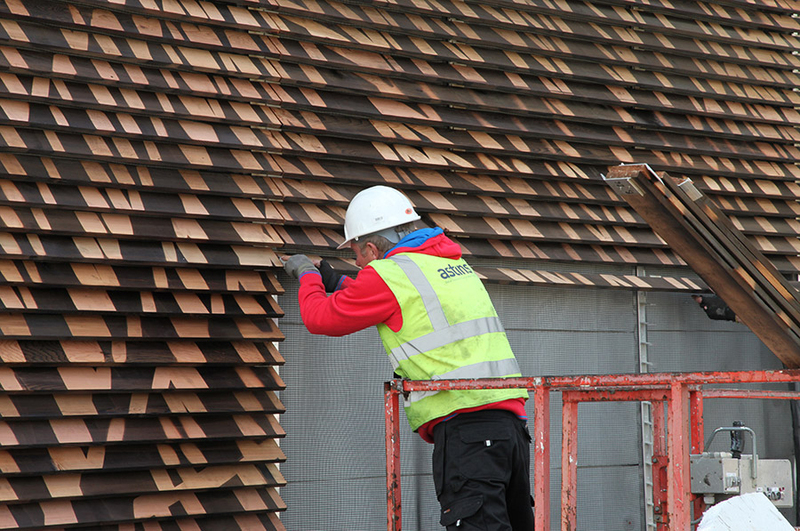 Rather than apply a new material onto the existing façade, the project uses a timber charring technique to stencil the design onto the louvres; whilst retaining the full functionality of the louvred system. 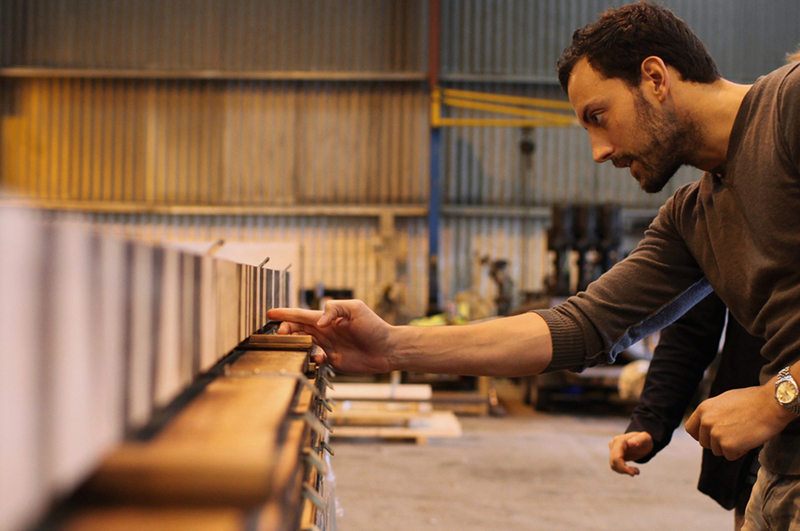 We worked closely with the timber fabricators to oversee quality during production. 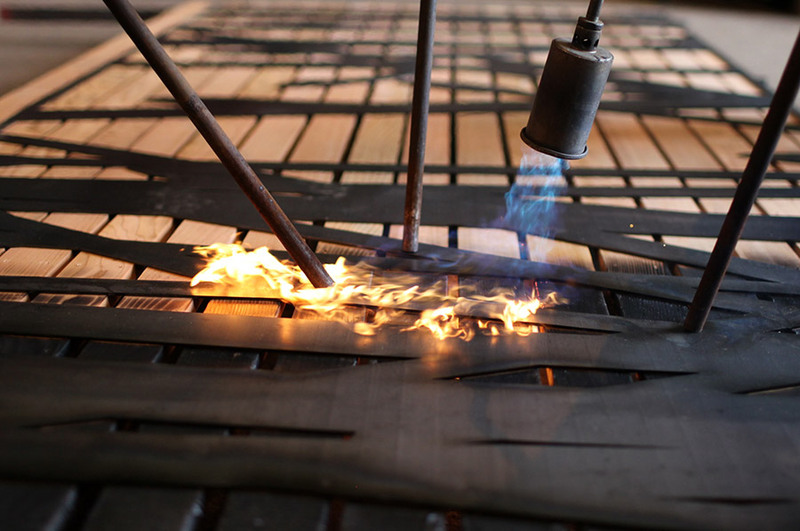 There are only a handful of charred timber buildings in the UK and we believe this is the first time this process has been used to introduce a piece of art onto a building.